Having the best online safety feature on your device when you browse the web is as much important as other features that you are looking for, be it superfast internet speeds or reliable connectivity.Unless your device, whether you use PC, laptop or iPad or tablet or smartphone to access internet, is protected by a good, up-to-date security software, malware such as viruses and spywares which are circulated via internet can easily attack and infect your device, files data and even steal your personal information including bank credit card details and log in details, resulting in loss of your precious data as well as your hard earned money. Other major threat from internet which most parents are concerned of is the inappropriate and harmful web content for children who these days browse the net for their assignments or play online games as pastime. Homes that have internet connection also need to make sure that children are kept safe from the dark side of web. Happily, network based web=filters and parental controls that ISPs now offer with their service enable the families to block sites unsuitable for children and choose type of web content based on age categories. HomeSafe (TalkTalk), Sky broadband Shield, Web Safe (Virgin Media) are examples of network based online safety features that are offered free to the respective ISP’s customers. Their main function is to block the sites which are unsafe and unsuitable for surfing, alert you over malware threats and protect all your devices. Generally, you need not download any software and the web filter is designed to work on all devices and customers can easily switch on or off the feature or change the default settings without any hassle. If you need extra protection from malware, phishing and spyware, you can get advanced security software from your ISP free of cost with selected packages or for additional cost. 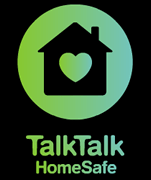 HomeSafe is online security & parental controls offered to TalkTalk broadband customers at no extra cost. It can be setup and switched on any internet enabled device. Customers can choose their preferred settings with the default setting being Off, ie., no sites are blocked.Standard feature Virus Alerts will help you protect your device from websites which are infected by malware. By enabling Kids Safe you can block specific websites you think your children should not visit or browse. Homework Time is setting that helps you to block specific sites such as social networking and game websites only during certain hours a day so your children cannot use these sites during these hours. HomeSafe comes free with all TalkTalk broadband packages (Simply Broadband, Essentials TV, Talktalk Fibre). To ensure additional online protection of devices and data against malware, hacking and email phishing, TalkTalk also offers advanced Super Safe Boost which usually cost £2 a month comes free with Plus TV bundle. Sky broadband offers basic, free online protection against malware and unsafe sites to all your devices that are connected to internet. By default, filtering is enabled and you are allowed to select PG, 13 or 18 which indicates age categories according to which automatic protection is enabled against the unsuitable web content and unsafe websites.You can easily customise your settings at any time or even contact Sky to disable Sky broadband Shield feature. You can also get advanced McAfee security suite which is offered free for 12 months to Sky unlimited broadband customers. After free use, McAfee Security will cost £3 per month. 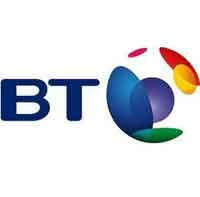 BT offers free parental controls which families can use to block websites unsafe for children and teenagers. This web filter does not need any software and the settings can be easily customised by parents at any time. Like HomeSafe, BT Parental controls also have HomeWork time setting.Unlike parental controls which comes free with all BT broadband packages, BT NetProtect Plus, McAfee security software is offered free only with BT unlimited broadband packages. BT NetProtect Plus with fire wall, anti-virus and anti-spyware features, is designed to protect emails, personal, bank details and data from online threats. You can use it in Up to 7 PCs & MACs. 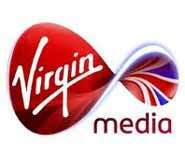 Virgin Media offers Web Safe which is router level online protection with its broadband and TV packages. The feature is designed to filter harmful and unsuitable websites from surfing so your entire household can be completely safe. You can enable this feature on all your connected devices and it is absolutely offered free of cost by Virgin Media.Virgin Media also offers award winning F-Secure SAFE with its broadband deals free for 12 months. You can protect up to 5 devices against viruses, spyware and worms. After 12 months, the protection will cost £79.99 a year. This is internet security software offered to Plusnet users who can use this feature to protect up to 7 Pcs. 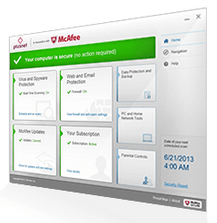 Powered by McAfee, the package includes parental controls and protection against virus, spyware and spam means you are completely safe from any online threats plus your email is free of attacks by spammers.There is also firewall that acts like a shield against hackers and protects all your connected devices from unauthorised access. Additional protection against phishing and internet thieves means all your personal information, bank details and passwords are quite safe from the access of anyone except you. With parental controls, you can customise the settings that will control the web accessed by your children – essential feature you need to protect them from online abuse and unsuitable content for their age. With McAfee, you also get Site Advisor feature to help you avoid bad and harmful sites, so you can use and search internet in a completely safe environment. Plusnet Protect which usually cost £2 a month is included with Plusnet unlimited broadband plan at no extra cost. Plusnet Essential broadband customers can get the security software free for 3 months.